This book proves to be a journey of adventure to readers committed to and interested in the science of nature. The new field of potential vortices is introduced by demonstrative examples from the area of vortex physics. By the example of dielectric losses of capacitors, the vortex decay is verified, motivating the subsequent extension of Maxwell's Equations. 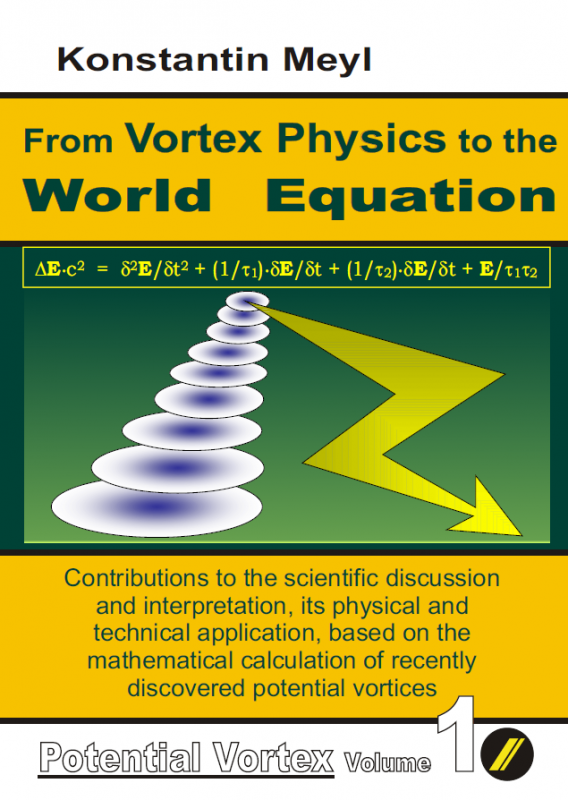 In detail, the extension of Faraday's law of induction leads to the potential vortices and ultimately to the fundamental field equation, which fulfills all requirements demanded by such a world equation. All derivations, which are not based on postulates, are of mathematical validity. 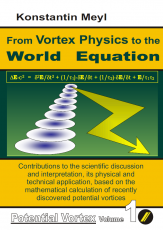 The derivation of the Schrödinger equation from the "world equation" shows that the newly formulated field equations of electromagnetism are able to fulfill the postulates of quantum mechanics. Potential vortices, therefore, have an effect also at microcosmic scale and in nuclear physics and not only in the case of microwaves, high-frequency welding, or in the biosphere of our planet. A pair of flat coils suitable for the kit (take note: you need a different frequency generator). Short wire length. Coil B. These pan cake coils work as a replacement or to expand the experimenting possibilities.